Many of us have grown up dreaming of the wonderful feelings of romantic love and wait hopefully to fall in love. Movies and love songs also make this dream look more realistic showing people in love who seem so joyful and alive. And thus we all crave for that in our lives too. However couples who have been married long know life is full of its ups and downs and spending yet another year in love with one person is a wonder. 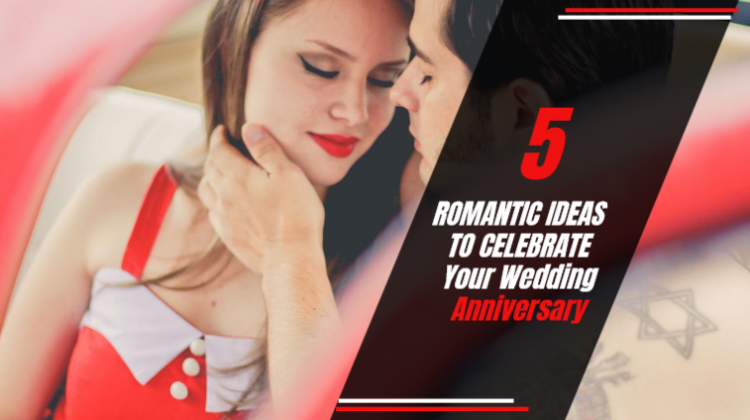 If you and your spouse strive to maintain deep affection for each other every day, you should consider each year together a true achievement and never miss a year of celebrating your wedding anniversary. Candlelit dinner is so romantic and classic that will never lose its charm. You can eat at a fancy restaurant or prepare a beautifully-cooked meal at home. The location is less important than you both showing your love and affection for each other. There is nothing like taking a romantic trip to celebrate your wedding anniversary. But, remember, it should be just the two of you, otherwise it won’t be romantic. In order to keep your love burning bright, you should cherish the moments when you spend quality time just you and your spouse. Taking time out of your busy lives just to be together will deepen your relationship and create lasting memories. If you are one of those couples who never have time to go to the cinema or theater, then choosing a cultural experience might turn out to be a great way to commemorate your anniversary. It can be everything, depending on your personal preferences – a musical, an opera or a romantic movie. After all, the choice doesn’t matter as long as you’re sharing precious moments together. If you both are dancing lovers, you might consider going to a bar or a night club as an exciting way to spice up your anniversary. Getting dressed up and going dancing can surely reignite the sweet feelings you felt when you first met. Good surprises always bring heat to your relationship. Nothing will ever make your spouse feel more special than a well thought out surprise. There is no doubt that a gift is better when it comes as a surprise rather than something expected. So you can choose any of the option options to celebrate and at the same time, you can make a wonderful gift surprise that will be cherished most the years to come. AnniversarySongsWithNames offer personalized anniversary songs for almost 3,000 names, so the chances are you will find your spouse name and pick out the perfect song. Then you can share it on Facebook or WhatsApp, or download it and burnt it on CD.